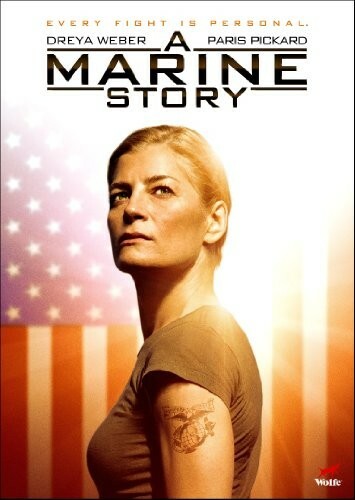 A Marine Story is a lesbian drama written and directed by Ned Farr. Alexandra is a mysterious naval officer with a feisty character. She seems strong enough to beat any man in a fight at the bar; but there is one opponent she will never be able to defeat: the military policy. Returning to her conservative hometown from an Iraq training camp, she will be secretly charged to form a tempestuous young woman before she officially joins a military boot camp. Alexandra and Saffron are portrayed by Dreya Weber and Paris P. Pickard.